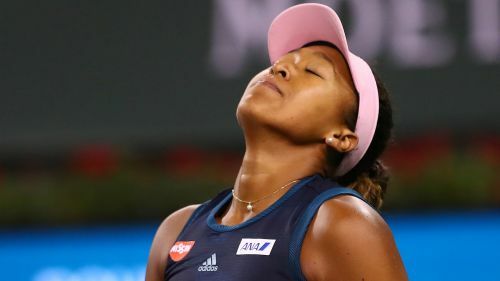 Naomi Osaka's Indian Wells Open title defence came to a shock end after the world number one was swept aside by Belinda Bencic in the fourth round. Osaka was completely outplayed as 23rd seed Bencic claimed a stunning 6-3 6-1 victory in the California desert on Tuesday. In-form Swiss Bencic blitzed the top seed, who surprisingly relinquished her crown following 28 unforced errors and just 10 winners. Australian and US Open champion Osaka never got going in the last-16 clash, with the Japanese star broken in the opening game of the match. That set the tone for Bencic, who was in impeccable form as she broke again for a commanding 4-1 lead against the two-time grand slam winner. Osaka – who saved one set point – struggled on serve having won just 54 per cent of her first serves throughout and that was highlighted when Bencic broke at 5-3 to take the set. It was more of the same for Bencic, who started the second set in familiar fashion – racing out to a 3-0 advantage and she broke again for good measure to extend her winning streak to 11 matches. Bencic will face either Karolina Pliskova or Anett Kontaveit in the quarter-finals of the WTA Premier event.